2 Hour Shopping Trip, tailored to suit your colouring, styles for your body shape, personality, lifestyle and budget. 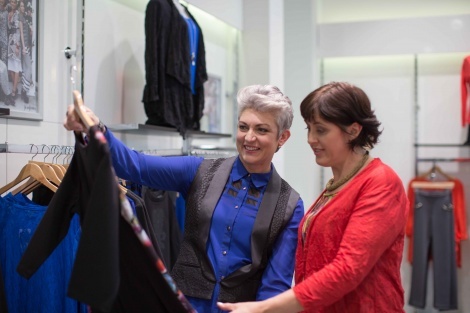 Includes a 1 Hour pre-shop of putting clothes on hold for you beforehand, to eliminate time browsing racks of garments, and making it a stress free, fun and focused time shopping together. You will try on new styles you might not have thought of trying before. I will teach you how to become a smart shopper, saving you time and money. I do this by showing you how to visually scan for your colours, assess the style and determine if it suits your personality and lifestyle. I will ensure that you feel confident in making purchase decisions for the future and where to shop for your look and budget. My ethical practice is for my clients to put garments back on hold, if wanting to purchase them after the shopping trip. This way there is no pressure on my client to buy.